A funny little cross over. 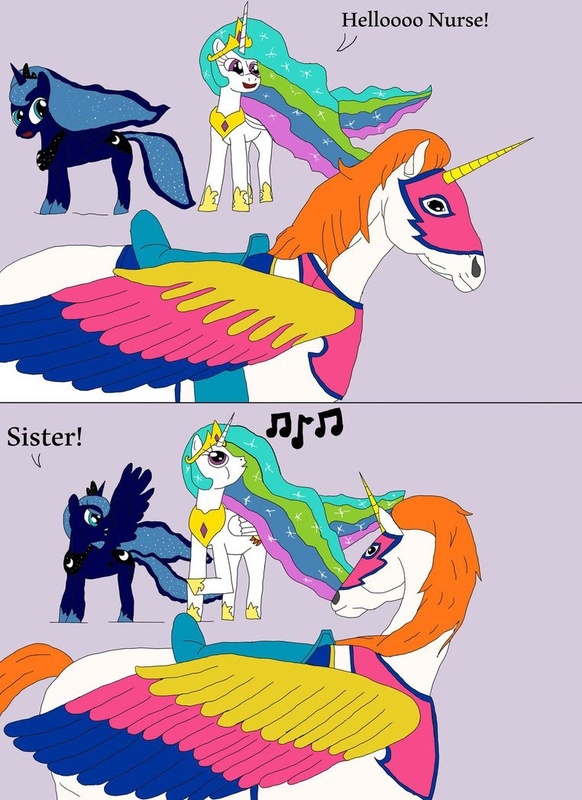 Given that the only other alicorns in her show are her sister, her niece, and her hero worshipping student, I figure Celestia deserved some eye candy. And I will say the My Little Pony aesthetic is a lot harder to work than I thought. Hard to believe but I don't think I've seen Swift Wind used before. Great idea. Thanks. I thought it'd be funny.